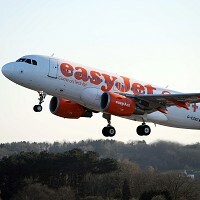 Budget airline Easyjet has announced plans to launch a new flight route from Manchester to Spain this summer. People thinking of taking out a travel insurance policy and going on a holiday can take advantage of the first direct service from Manchester to Bilbao. According to the company, the weekly flights on the route will be offered to customers from June 17. Bilbao, the capital of the province of Biscay, offers a number of attractions including the Guggenheim Museum. People making a trip to the Spanish municipality can also enjoy the nearby beaches. Ali Gayward, Easyjet UK commercial manager, said: "Bilbao is a dynamic city that offers visitors a rich culture and vibrant nightlife; it is ideally located to provide visitors with access to other popular destinations such as San Sebastian and Pamplona - home of the famous Running of the Bulls event."